I second that! Awesome stuff! Job opening for a designer/engineer for a motorsports project at a "confidential" plant in Belvidere, Illinois. They currently just build the Jeep Cherokee there, and they've started construction on a testing facility. Perfect cover for an Indycar or DPi project. Someone I'm close with is adamant it's an Alfa DPi project. Someone I'm close with is adamant it's an Alfa DPi project. Oh, yes! That would be visually fantastic. I imagine it would be with a big, farty turbo V6. But visually, I hope it is a stunner! Or it could look like that. Could be anything. If it's a jeep factory it could be something that involves those types of vehicles. One would like to see a dpi but a testing facility at a Jeep factory? Any off-road motorsports Chrysler is involved in? I thought that was apparent from my post. That would be awesome but given Dodge's focus on drag racing, do you think it's likely? Alfa... Nevermind, I've been on the bourbon. Alfa is bringing the Guilietta TCR car to both TCR fields so I'd believe that over a DPi project. It sounds like they are serious about bringing Alfa back and I'm thinking hipsters would think they're cool with a new hatchback. 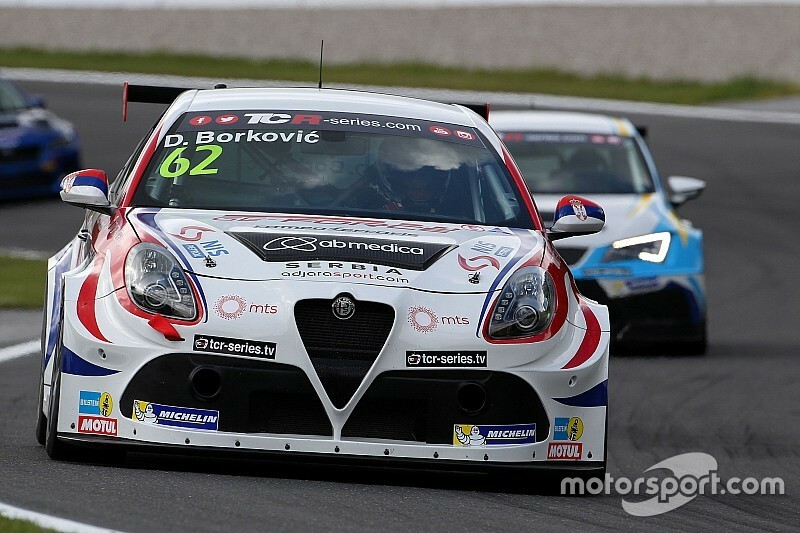 Maybe am I wrong, but alfa romeo giulietta tcr is made by romeo ferraris, an italian tuner, with poor (or nothing at all) effort by alfa romeo. But anyway, a DPi program is really really unlikely for any FCA brand to me. Believe most of the TCR chassis are built by tuners but it sounded like Alfa wanted to push the car in racing before its US release. Providing support would be a good way to improve the car, assuming the homologation allows that. But DPi sounds like a step too far for FCA. Let's say that FCA doesn't need a "win on sunday, sell on monday" racing program in USA, being the most successful market for ferrari and maserati. Alfa romeo released giulia with the goal to break the 3 german manufacturers hegemony in luxury sedan segment; guess they are aiming more for europe than USA... but who knows. bring a dallara lmp2 chassis, modify rear subframes and suspensions to fit the 488 gt3 engine, change nose/headlights and you get a brand new car for team risi. Most are factory customer racing efforts actually. ACO allow Joker for Dallara, Ligier and Riley/Multimatic. Seems that all will get aero in both Le Mans and Sprint configurations and the R/M Mk. 30 probably getting other chassis allowances. These upgrades will also be applied to the DPi where applicable. The upgrades will be free to all teams/chassis.